World Number one Michael van Gerwen retained his Grand Slam of Darts title in Wolverhampton this weekend, comfortably beating James Wade 18-6 in the final. Having been the favourite in the PDC betting at the start of the week, the Dutchman showed his class throughout his time in the Midlands, eventually reeling off five successive legs to secure yet another major trophy. Having recorded an average of 111 during the semi-final, the sixth highest in the tournament’s history, Van Gerwen started sluggishly against the Englishman, failing to rediscover the form that saw him beat Peter Wright the day before. Despite Wade briefly delaying the inevitable by winning three legs in a row, Van Gerwen soon fought back with a red hot run of his own, sinking a double 12 to seal a famous victory. With the World Championships now just around the corner, early coverage of the PDC at bookmakers Coral show Van Gerwen as the favourite for another success, with the Dutchman offered favourable odds of 8/11. Elsewhere, despite losing out to Peter Wright in the quarter finals at Wolverhampton, Phil Taylor is at 11/2 to add to his World Championship wins. 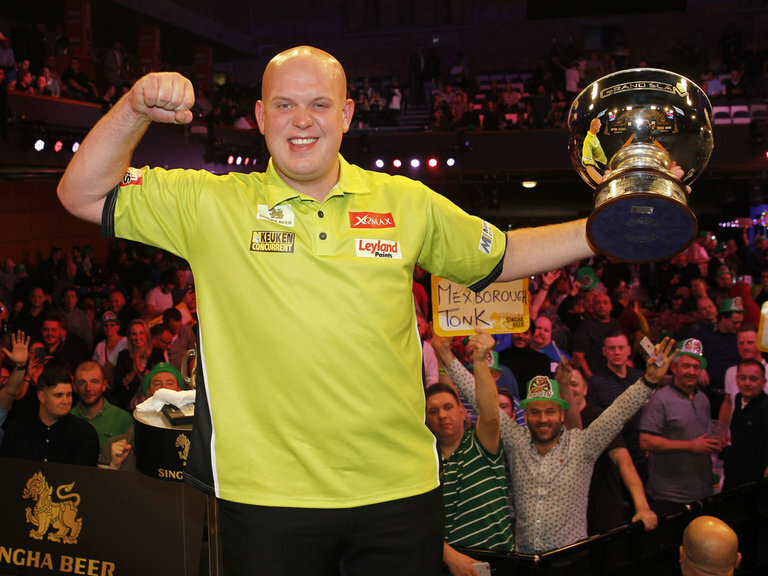 The win for Van Gerwen was his 24th of a remarkable season, as well as being his fourth successive televised major success, handing the Dutchman a prize fund of £102,500, which included a mini bonus for previously topping his group in the unique tournament which brought together players from the PDC and BDO. Van Gerwen will now be looking to win his third Players Championship Finals trophy in Minehead this weekend, before the World Championship begins at the Alexandra Palace in London on 15 December. The likes of Gary Anderson, Peter Wright and Adrian Lewis are all capable of beating the Dutchman on their day, and are all among the favourites in the darts betting market at Coral, however Van Gerwen looks in a class of his own of late, and it would certainly not be a surprise if he added to his World Championship win back in 2014.